The studio and its interactive installation #1minuteLamp are going to London!!! 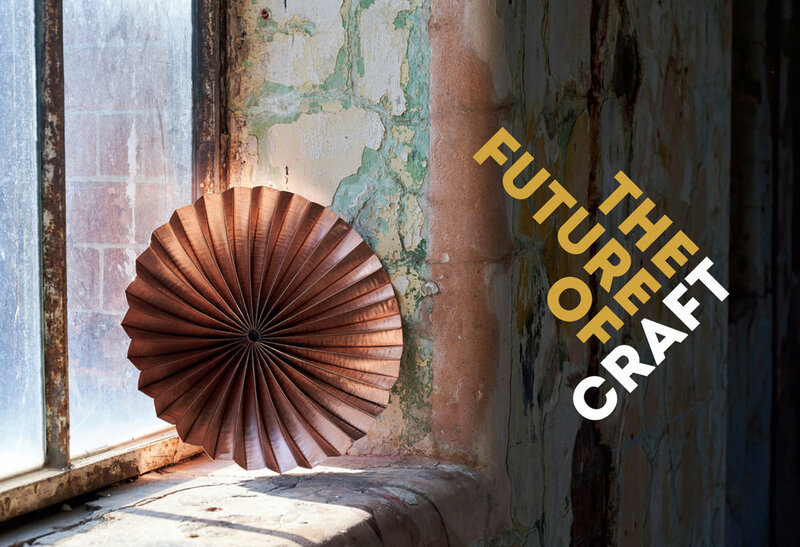 Curated by Oxo Tower Wharf, 'The Future of Craft' will present a carefully selected line up of innovative and forward-thinking craft organisations, practitioners and collectives in the industrial settings of Bargehouse, London, and I'm thrilled to announce I'll be part of this show. 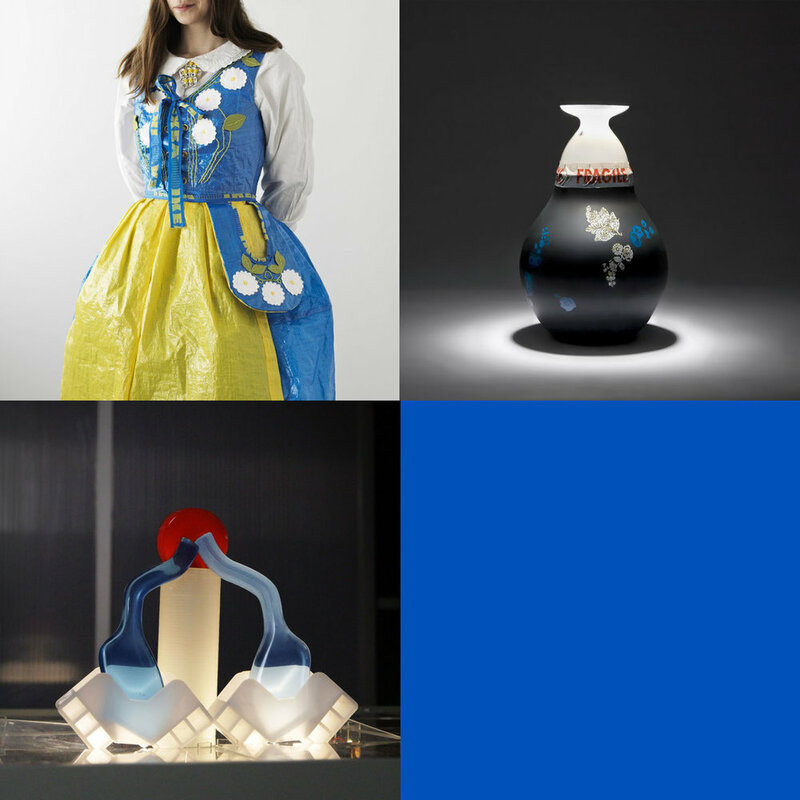 The event is part of the London Craft Week, and will feature a thought-provoking talks programme, group discussions and presentations, workshops, creative learning experiences and many more other things. Join us if you'll be around! 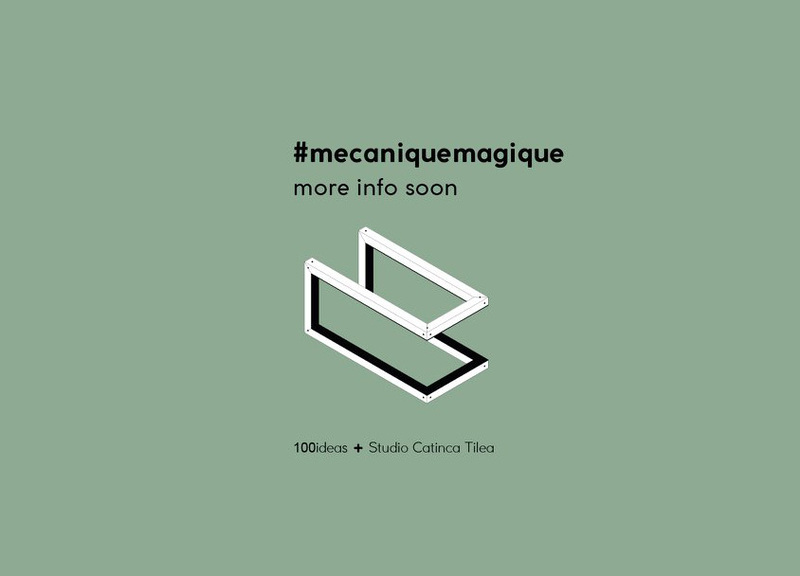 Mecanique Magique is a very soon to be launched project that Studio Catinca Tilea developed in collaboration with 100 Ideas, for the Horta Museum in Brussels. I wouldn't want to spoil the surprise, but the project is freshly out of production and it will see the public next week in a double opening, first during this year's Collectibles design fair in Brussels, and very soon after with the exhibition 'Collector Collection' hosted by the Horta museum. Curious to find out more? Join us in Brussels or keep tuned online. After launching the installation 'Time said: Can you see me?' in one of the windows of WORM #Wunderbar on 20th January, the artwork has undergone a major change. This process has been documented as a film performance and we have the pleasure to present it to you on the 26th February in collaboration with Worm Pirate Bay. In the windows of the WORM #Wunderbar, 5 time-based installations will be seen for exactly one year. In this time frame the individual works will undergo an alteration, a change that is triggered by light, time, degradation and/or movement. The installations are an initiative of the Worm Pirate Bay in collaboration with concept designer Catinca Tilea and members of WORM Filmwerkplaats. Catinca's work, entitled “Time Said: Can You See Me?” is one of the artworks displayed. It is a reflective piece on destruction and preservation, and about time as an violent agent that inflicts degradation on the physical world. The kick-off and opening of the show will take place during the Sound Vision program, IFFR 2019. It's time for new adventures right after the summer holidays, and this time the studio is travelling to London. #1minuteLamp interactive installation will be presented in the Tent London section of the London Design Fair 2018 edition, all ready for new experiments. Hope to see you there, pay us a visit! Hacking today is almost a lifestyle; individuals create a specific emotional bond to something that they have built or re-built by themselves. The exhibition 'IKEA HACKED. OUR PRODUCTS, YOUR IDEAS' takes on this phenomenon, and what it means to alter and remake IKEA items, an otherwise already known practice. Hacking, altering, and remaking design items can be anything from people changing the legs of a sofa, to creating a detailed tailored dress from bags. Opening its doors on the 28th of April 2018, the exhibition will transform the Ikea Museum in Älmhult into a forum for inspiration, imagination, creativity, and sharing ideas, for all ages. A wide range of art and design pieces will be displayed, ranging from a “pencil chair” made out of 6971 short pens from the IKEA store, to an interactive light table on which visitors can create a lamp in a very short time. Guessed it yet? The #1minuteLamp interactive installation is back, this time providing the instrumentals for playing and building with Ikea materials and products. The studio is happy to announce its participation in this IKEA Museum exhibition in Älmhult, along with more than 30 other international artists and designers. Conversas is a series of weekly informal meetings made so that people can get to know and discuss projects and interests. As it takes place, among other cities, in Rotterdam as well, Catinca had the pleasure to be one of the “conversadores” during one of the fall sessions in 2017. Each Conversa season resumes with a publication and here's the most recent one, freshly out of print and just as freshly launched into the world. We're very happy to be part of it, not only in name and as “conversador” but also with one of the most precious things behind any creative process: the work chair. Happy to have it featured on the cover! It was a lot of fun to photograph it. “Conversas #101 - #110” is available to purchase via Conversas Rotterdam and Publication Studio Rotterdam. Woohoo!... And the winner is: “Help, we zijn populair! Rotterdam stad in verandering”!!! The book came out in November 2016 under the NAI010 Publishers. It's also been Vers Beton's first book ever published, edited by Eeva Liukku and Sereh Mendias. We are of course very happy to be part of the team of writers and illustrators, being featured on page 134 with Abutaleb's illustration (the mayor of Rotterdam). The yearly Rotterdamse Persprijs has been awarded on the 1st November to this publication, now also dubbed: Rotterdam's book of the year. Well done, everybody! We're happy to announce the studio's participation at this year's Dutch Design Week. There's only one week left until we'll see each other there. Meanwhile we're busy preparing the last little things in order for the #1minuteLamp interactive installation to be ready to experiment with. Hope to see you all there! Conversas is a series of weekly informal meetings for people who would like to discuss their projects and share their interests with others. During the event, three invited Conversadores (those, who come to talk/present at Conversas) bring something they would like to share with the audience, for thirty minutes each, and this week Catinca Tilea is one of the Conversadores. In September the #1minuteLamp interactive installation is joining the European Social Innovation Week in Tilburg, as part of the Dear Future Festival. The installation will be presented as a duo between a one-day pop-up exhibition and workshop sessions. Visitors are invited to experience daily objects and make spontaneous lamp assemblages on the weight-sensitive surface of the installation. Additionally, people can join one of the workshop sessions in which we'll explore open-source technology and social-cultural participation by making long-lasting LED lamps which the participants will keep at the end of the day. Join us in Tilburg for either the exhibition or the workshops, or both! You can already register for the workshops through the festival's website. Happy to announce the studio's participation in the program 'Connect the Dots', presented by iii (Instrument Inventors Initiative). The program revolves around participatory artworks through which the audience is invited to take part in playful and open-ended experiences. Concept designer Catinca Tilea is one of the four artists invited to showcase participatory artworks in the exhibition 'Performance, Objects, Bodies'. Aside from the exhibition, the 'Connect the Dots' program incorporates the interdisciplinary symposium 'The Craft of Experience Design' and a performance program. For more information, please visit this website. Save the dates 15 Sep. - 7 Oct. 2017! This summer we'll be joining the Bouwkeet makerspace programme with a series of workshops based on the #1minuteLamp interactive installation. The workshops are focused on teaching how to make a lamp in one day. We start with learning how to make LED circuits and continue with how to create a lamp with industrially discarded pieces of material. The workshops invite people from the neighbourhood to exercise their creativity and share open source knowledge. For all those in the Bospolder Rotterdam, signing up is possible via the Bouwkeet website. We're almost launching, so come visit us in the Fuori Salone, Ventura Lambrate. Everything is set to go. Starting tomorrow morning we wait for all of you to come to make a lamp in 1 minute. Meanwhile enjoy this sneak preview ;). See you all this week in pretty Milan or on the waves of the internets! We are very excited to announce that our #1minuteLamp speculative project has been selected for this year's Ventura Lambrate exhibition during the Milan Design Week. #1minuteLamp is an interactive installation that uses light and technology in an entertaining manner to show how creativity, participation and ICT can re-shape social behaviour. The work will be presented for the first time in its full setup during the Milan Design Week. We urge you to be there and explore with us the wonders of light and material within and beyond design. We'll be streaming live the perpetual changes of the #1minuteLamp interactive surface throughout the five-days exhibition, by this making the work also available beyond geographical boundaries. Stay tuned for updates via our social channels, but most importantly, save the dates for this year's Design Week in Milan! In the last two weeks Samizdat Online launched the first two parts of the essay trilogy 'Information Gone Viral', a writing collaboration between the magazine and the studio. While 'Information Gone Viral [BETA]' is debating how viral information flows use art, design, science and lifestyle as relatable subtext bait for large audiences, the [1.0] and [2.0] versions of the trilogy go towards the path of illustrating this type of data compression at work. The [BETA] content is therefore shrinked into text viral format in [1.0]. 'Information Gone Viral [2.0]' takes this compression a notch higher and translates the [BETA] essay into a short online video, somewhere between reality and dystopia. Last week the #1minuteLamp installation has been guest at FullMoon Babylon, the Autumn Dreams edition (14 Nov.). After a successful evening in the light of a super-moon, we've decided that there's room for more enjoyment in December. Catinca will be holding two sessions of #1minuteLamp workshops at Cirkel in the upcoming weeks. In an 'Internet of Things meets DIY culture' setup, everybody is invited to come play with us. During the workshops we'll be experimenting with different materials, make assemblages on the #1minuteLamp installation, choose our best compositions and then materialize them into lamps that the workshop participants can take home and enjoy in the wonderful atmosphere of winter holidays. For those who'd like to attend, click here for more information! Last week the essay 'Information Gone Viral [BETA]' has gone on the air and into the world of the internet. This article has been debating a few ideas regarding how the movement of online information has an impact on design, news, science and lifestyle. Since last week the essay has undergone a first stage of internet-like compression, resulting into 'Information Gone Viral [1.0] or Transformation Into Viral Format'. This compressed essay takes on the magical-seven of viral communication. The full article is available on the Samizdat Online website. The studio's collaboration with the Public Room. Center for Design and Innovation for the project Understanding Territoriality has been finalized and will be presented during this year's Skopje Design Week. 'The Design Abacus' is a permanent interactive installation assembled on the first floor of the Public Room building. The work is counting frame that rearranges geometry, engaging the public into experiencing form and proportion, in the context of the design process. If you happen to be in Skopje for the week, the installation will be there ready to enjoy and remodel, so go make use of your creative spirit! Rotterdam based online magazine Vers Beton have released their first physical book 'Help, we zijn populair!' (translated: 'Help, we're popular!'). The publication delves into Rotterdam's recent acquired popularity from many different perspectives with articles by Marguerite van den Berg, Vincent Cardinaal, and Gyz la Rivière to name a few. It not only glorifies the city's development, but also offers a critical point of view on the recently made history. Every of the six chapters are visualized with photography and artworks from local artists and we are happy to announce that Studio Catinca Tilea has also contributed to the book with an artwork. Starting with the 17th November, 'Help, we zijn populair!' is available for purchase or peak through the NAI 010 Publishers selected stores in Rotterdam. Happy to present this freshly published essay that takes on viral communication and its influence on – well – everything. The studio has been studying the movement of online information in the last months, and 'Information Gone Viral [BETA]' is the first piece debating what was observed. Online media is an undoubted part of the present human's life. This essay looks at how professional frameworks, entertainment, news, and ultimately the truth value of information are influenced by the presence of technology into one's daily life. The full article is available to read on the Samizdat Online website. Let there be light! Especially if it's night time... and especially if it's full moon! Upcoming Monday, the #1minuteLamp interactive installation will be guest at the Rotterdam music event Full Moon Babylon. During this edition the audience is invited to make one minute assemblages on music rhythms. Let there be swinging and gesture-designing for the whole evening! The studio's ongoing speculative design project #1minuteLamp will be guest at the upcoming 'On Probation' evening of Theater de Generator in Leiden. The project is an ongoing research that takes on the values and design tools of mass consumption. #1minuteLamp is an interactive installation that exposes the basics of home lighting production. The public is invited to experiment with the process of obtaining a decorative lamp during this evening. The installation aims to strip our understanding of home lighting to its essentials, reducing the manufacturing of a lamp to a gesture that can be carried out by anyone. The upcoming 'On Probation' evening focuses on the Eastern Bloc as theme. The event will host two other theater performances debating the topics of stereotype thinking – 'Hoe Ik ook Onbewust een Racist Ben Geworden' by Andrada Simo (Eng. 'How I've unconsciously become a racist') - and the limits of individual endurance – 'My Father was a Terrorist' by Igor Vrebac. More information on the 'On Probation II' event is available here. Hope to see you there. Launched during last year's IFFR (International Film Festival Rotterdam), 'Stop Acting Now' debates the the borders between entertainment and socially engaged activism. The five Rotterdam based Wunderbaum actors cease their career as entertainers to engage in radical social activities meant to change the world. Designer Catinca Tilea appears in the movie as Romanian guest designer living and working in Rotterdam. Together with actor Matijs Jansen they develop an app called 'Tuinder' (Eng. Gardener) that encourages direct trade between the small local farmers and the citizens in an attempt to re-boost the local economy and decrease the amount of food waste resulting from international scale food trade. Since its premier in Rotterdam, 'Stop Acting Now' has been played worldwide at various film festivals. On the 25th August the film was aired on the Dutch television channel VPRO and is now available to stream online on NPO. In the course of the summer Catinca has been working with the Macedonian Center for Design and Innovation to create a piece meant to be showcased in the center's building. The installation encourages the local public to engage with the design process by playing. This development is part of the 'Understanding Territoriality' design residency, a joint program between Netwerk (BE), Cittadelle Arte (IT), Fabrica (UK),the Creative Europe Programme (EU), and the Public Room, Center for Design and Innovation (MK). Soon, very soon, the installation will be officially opened in its assigned location in Skopje. Starting the 5th of September Catinca will be present on location for the assembly. We are happy to share this upcoming event with you. So stay tuned, and if you happen to be around, pay a visit at the Public Room between 10th and 18th September. After a long break, Xia – the new leader – is back! The studio is pleased to do the production of this Wunderbaum performance again and discover new ways of funding societies together with the public. 'De Komst van Xia' will be playing between the 22nd and 25th of June on the Kop van Java Eiland in Amsterdam, as part of the Europe by People exhibit of the Holland Festival. There will be a panopticon-like tribune in open air, on the pear of the Java Island in Amsterdam. There will be philosophers thinking of social models beyond democracy. There will be a great Amsterdam view. The rest cannot be divulged, no spoilers! Just don't miss out! This year's Rotterdam big art calendar, De Grote Rotterdamse Kunstkalender, features new work of our studio. 'Time & Time Again' is an installation that gives socially valuable meaning to biological processes. The large nature placed object explores human perception upon life cycles and correlates this with our understanding of time. The circular tube rests on the ground, extracting moist and nutrients from it. Through the bio-chemical processes inside, the tube gradually changes colour on a scale perceivable from day to night and from season to season. 'Time & Time Again' is an ongoing research and soon to be site related installation. More information is coming up soon. Until then, enjoy this 26th of April page of the calendar. Design and Freedom. The role that design plays in reinforcing society's zeitgeist. 'Design and Freedom' is an article about the relation between aesthetics and the understanding of freedom and free will. Catinca Tilea teamed up with anthropologist Stefan Blokker to analyze how design syntax is present in the portrayal of different social setups. The context of freedom and free will is referenced through Kubrick's 'A Clockwork Orange' (1971) and Garlands directorial debut 'Ex Machina' (2015). You can read the full article on the Samizdat Online website. This is an article about Americana icons that still echo in our contemporary behaviour. Why do we look at the past with nostalgia and what do market and design icons have to do with it? Well, the article tells more about it, so enjoy your reading. But this article is also a writing debut for &Wolf. There is, therefore, plenty more of these design-insight stories to come. Catinca writes for &Wolf as a duo, together with researcher and storyteller Stefan Blokker. They mix their design and social studies background in order to provide a broader understanding on those little things that surround us every day and of which we are not always aware of. So stay tuned for more! Add one layer to the FLAT project? check! Initiated by Loes van Bruinessen en Nikos ten Hoedt, #Flat is an online project that composes an image as a whole through the contributions of small strips from different artists. And one more layer has just been added! By our studio! Check it out!